This i sn’t a how to post, so much as a reminder for myself on how I was able to accomplish this. I have Debian wheezy installed on one of my SunFire V240 servers, and I didn’t setup the RAID root initially when I was tinkering around with the server. After some research and fidgeting I was able to get things working swell. 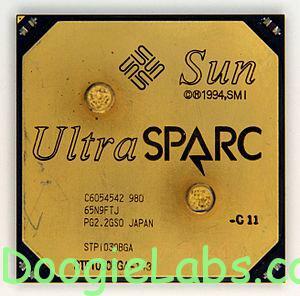 Debian dropping support for SPARC is saddening, especially since I was hoping to be able to move away from Solaris a little bit and run modern Linux on my Sparc boxes. With that announcement comes something else, AFAIK (other then maybe Gentoo) there are no active Linux ports for Sparc. It’s almost like, this is the end of something great. Then I formatted the boot parition with an ext2 filesystem, and mounted it. After that, and compiling the kernel so RAID was built in, I booted off the second hard drive into my new raid system. Once the system was up successfully, I went ahead and used fdisk to change the partition types of the root and swap partition to raid. I then added them to the already running RAID. Then I could watch /proc/mdstat and once the array was finished rebuilding, I rebooted and was pleasantly surprised to find my boot times considerably faster thanks to the RAID. This web guide also proved to be a great resource in helping me complete my adventure, http://bragi.netprodigy.com/jeff/linux/debian-on-netra-x1-raid ..